Discover the ritual for normal to dry skin. This four-step, full-size collection nourishes and hydrates skin for youthful radiance. Pure One Step Camellia Cleansing Oil - 150 ml | 5.1 fl. oz. Purify skin with this lightweight, antioxidant-rich cleanser that melts away even waterproof makeup. Polish skin to a jewel-like luster with this creamy, water-activated exfoliant of nourishing Rice Bran and conditioning Silk. The Essence - 150 ml | 5.1 fl. oz. Soften, plump and hydrate skin with this fluid of 98.7% pure anti-aging superfoods that makes all your skincare work better. The Silk Cream - 50 ml | 1.7 fl. oz. Moisturize with this anti-aging gel-cream that forms a protective veil of hydration and plumps away the look of fine lines. As simple as it is elegant, the geisha's skincare ritual is based on pure, minimalist ingredients. These natural actives are as effective as they are pure, advanced by science to reveal brighter, smoother, baby-soft skin. Ideal for normal, combination/dry and dry skin. Non-irritating. Non-sensitizing. Dermatologist tested. Mineral oil, synthetic fragrances, sulfate detergents, parabens, PEGs, PPGs, DEA, TEA, urea or phthalates. Begin with dry hands and a dry face. Apply 1-2 pumps into the palm of your hand and massage onto face, including around the eyes. Rinse off with warm water. The oil will emulsify into a milk and effortlessly melt away makeup and debris. Begin with wet hands and a wet face. Pour about half a teaspoon into hands, add water and rub hands together to create a creamy foam. Massage gently onto a wet face in circular motions for 10-20 seconds, avoiding eyes. Rinse and revel in your soft, smooth skin. Use daily, after cleansing and before any other skincare. Pour a palmful of the Essence into your hand, press your palms together and press gently into the skin on your face and neck. Scoop a pearl-sized amount of cream. Massage gently onto face, neck and décolletage in upward strokes. Use day and night, every day. The Nourishing Ritual is rated 4.8 out of 5 by 64. Rated 5 out of 5 by Anonymous from 46 years to find the right skincare I discovered the cleansing oil and enzyme exfoliant through QVC. The results were so positive that slowly I didn't even need make-up anymore. I immediately incorporated the entire regimen and I am thrilled. The hydration mask is a lovely de-stresser after a long day. I never really had lines or wrinkles but now my skin is tight and hydrated and I'm getting routine compliments that I don't look my age. A must in the corporate world. Thanks Tatcha! I had been using LaMer so my skin had been good in the past, but never makeup optional. Lovely CEO, customer service, ethics, products, and packaging. A definite win and worth every penny. Rated 5 out of 5 by sandyfc from Transformed my skin, BEST skincare line ever I bought the set 6 weeks ago, and I have never been more satisfied with the results. My pores have shrunken, my acne scars have faded, my skin is soft and luminous. I've tried so many products over the years for my problem skin (SKII, La Mer, Murad, Clinique, etc.) and nothing has worked as fast and as consistently as Tatcha. Even my aesthetician commented that she has never seen my skin this dewy and good, and asked what I was doing different. I feel excited to cleanse and prep my skin every night with this ritual, and I look forward to trying more of Tatcha's products. The best money I've ever spent for my skin! Rated 5 out of 5 by Citygirl from I’m in love! I first heard about Tatcha through Jefree Star. I ordered some travel sizes and fell in love. My face felt so clean and clear! I’m in my late 40’s and finally realized that certain brands did nothing for my skin. Sure it was clean but not a clean that I felt all day. I hated washing my face and saw it as an annoying task. Now I see washing my face with Tatcha as a relaxing ritual. Tatcha’s roducts are extremely light but gives you a deep clean. My skin is clearer and less blotchy. I’ve only used it for about a month and I will never stop using it. I tried more products and I can’t say one bad thing about any of them. Rated 5 out of 5 by Brigitte from Absolutely love tatcha indigo! Literally the best thing I have ever done for my skin in my 30 years of life! In my late 20's I started developing bad rosacea but have always had redness and I had literally tried everything I could possibly imagine to help with my skin. I saw a Tatcha presentation on QVC one day and saw that the rice enzyme and cleansing oil were in a duo and decided to give it a try along with the indigo cream as well and my skin has never felt or looked better. The raised areas where my rosacea was inflamed within a week had massively decreased in redness and size. I absolutely love Tatcha and yes, it may be expensive, but is absolutely without a doubt worth every single penny! Rated 5 out of 5 by Gene from Clearer skin for me! This is my first review of Tatcha products. I ordered the starter set and then graduated to a full set. I'm in my 50s so I have ageing skin - it's not in a bad shape probably bec of good genes, but still I had whiteheads or impurities and sometimes tired looking skin. I found the cleansing ritual fantastic - the oil is the best in the market and I've tried a few (Shu, RMK etc). The scrub is the clincher for me in terms of clearing away stuff that's stuck in my pores. Some products work for a few months then stop working, I hope this doesn't happen. Anyway I will certainly buy again! Rated 5 out of 5 by Brenda from Fabulous products and fabulous company! I so love the products! I am in my late 50's and have some sun damage and larger pores. I have seen an improvement in my skin since using TATCHA for just one month. I absolutely adore the cleansing oil! It takes makeup off so easily without stripping my skin! Of course the rice powder is excellent too. Frankly there is not a product in the kit that I can do without! I love the handwritten notes from TATCHA--and the packaging is so very special. I have raved about this line to all my friends and family! By the way, I bought the Akari Crystal--and I love it! Customer Service is the BEST I have ever experienced too--they really go the extra mile. All my best wishes sending your way!!!! Rated 5 out of 5 by Kelsey from Can't live without this set! I fell in love with The Ritual from day 1. I hated my skin since as long as I could remember. I had uneven skin tone and break outs that would drive me crazy! I could never find products that wouldn't irritate my incredibly sensitive skin. Tatcha sent me sample sizes and though skeptical at first, I tried it, AND FELL IN LOVE! The combination of ingredients they use miraculously does not irritate my skin. After The Ritual my skin is left clean, hydrated, and baby-soft! I use the Deep Enzyme Powder for oily skin. I can't imagine ever using any products on my skin ever again! Rated 4 out of 5 by Lynnette from Love the products but unfortunately too pricey I began using the trial set of Tatcha for combination skin and was instantly hooked on this wonderful line of skin care. My face felt clean and did not collect oils or get shiny throughout the day or overnight. I have been researching ingredients and looking for years for skin care that does not have a lot of "junk" in it and has mostly natural ingredients, which I believe this line to have. Unfortunately, I could not justify the high prices of these products, it doesn't take long to go through a full size moisturizer at $150 per approx. 1.5 oz, so I found another natural line of skin care that I'll admit does not leave my skin feeling as good, but it is more economical. I miss this line and come back often to see if there are any online promotions/specials, which disappointingly, there are rarely any. I believe in the "you get what you pay for", but paying about $500 every couple of months is just too much and hard to justify. 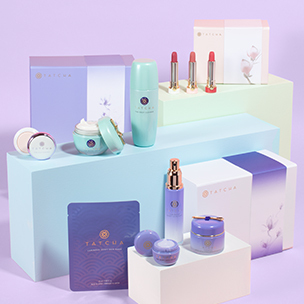 Tatcha&rsquo;s skincare collection is a recreation of the classic beauty essentials used for centuries by geisha, famed for their pure, polished, radiant and supple skin. How long does this set usually last? What is the core ingredient in the collection? At the heart of all Tatcha skincare essentials is HADASEI-3&trade;, our own proprietary complex of Green Tea, Okinawa Red Algae and Rice Bran extracts, combined for their anti-aging properties to keep skin looking supple, smooth, and luminous. Are you supposed to use every product both morning and night? Trying to figure out my morning and night routine- thanks! How do I use this ritual? Thank you for your question! Our Rice Polishes are formulated to be gentle enough to be used both morning and night for 15 seconds at a time. We hope this helps! I noticed that many products have run out of stock. Do you regularly stock up on everything or are you done selling those products? If you do restock when does that happen? Great question! Our entire collection is made in small batches, so some pieces may be out of stock intermittently throughout the year. Limited edition items, however, are no longer available once they are out of stock. 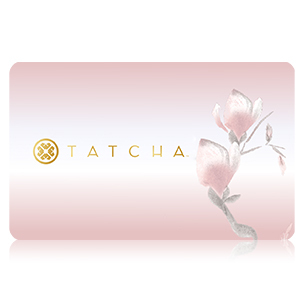 Please sign up for the waitlist for the items you are interested in or email info@tatcha.com for more assistance.